Get the latest information that’ll help you advance your career in HR, non-clinical healthcare, office administration or supply chain and logistics. 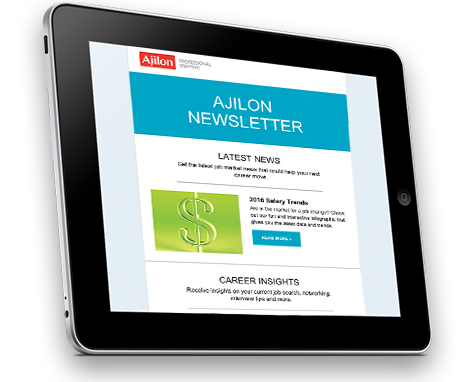 Who wouldn’t want news, insights, career tips and job alerts delivered to their inbox? Stay current with news on the economy and job market. Get our opinion on the news and learn what it means for you. Get tips to rise up the ranks and earn more money. Receive updates on top jobs across the U.S.—and connect with us to land one.